Acclaimed author, Annabel Liu was born in Shanghai in 1935. In her first two memoirs, My Years as Chang Tsen: Two Wars, One Childhood and Under the Towering Tree: A Daughter’s Memoir, Ms. Liu tells the story of her childhood in war-torn China. 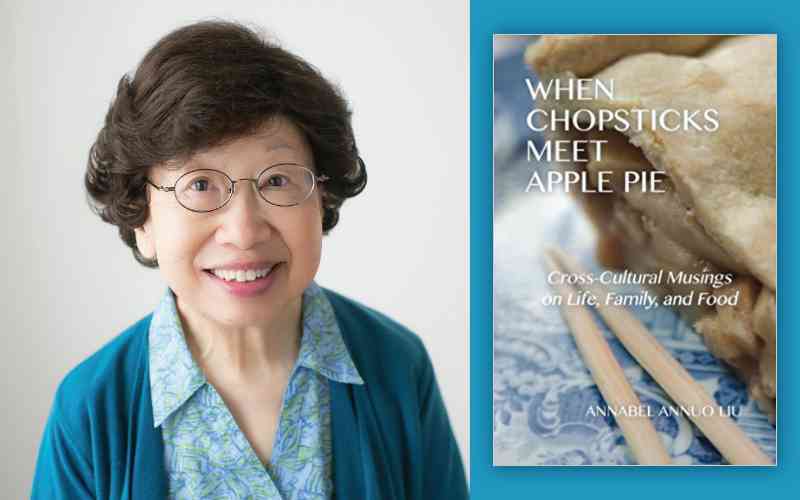 Her latest book, When Chopsticks Meet Apple Pie is a collection of essays exploring the issues of food and drink between vastly disparate cultures. An engaging and witty speaker, Annabel Liu has published eleven books in English and Chinese and has taught Journalism at two US Universities. A resident of Sage's Plush Mills, Annabel will visit Daylesford Crossing for a lively Book Talk. Don't miss it!